The Batcave - Steppenwolf's arrival! For the second year running, Warner Bros. has released a new trailer for the upcoming Justice League movie following its showing at San Diego Comic-Con. At the start of production, the studio made a point to feature the team up heavily after a bad reception for Batman v Superman: Dawn of Justice. This year, the talk around the DCEU has shifted dramatically thanks to how well Wonder Woman has been received. With audiences enjoying her story and her next appearance being just a few months away, WB didn’t hold back on promoting Justice League at SDCC 2017. 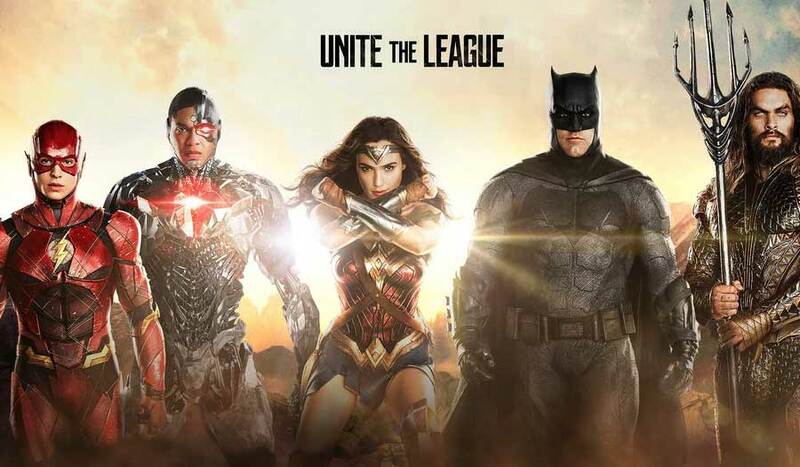 Gal Gadot and her fellow members of the Justice League – Ben Affleck, Jason Momoa, Ezra Miller, and Ray Fisher – all on hand to hype the coming together of the JLA for the first time on the big screen not to mention they didn’t come to SDCC 2017 empty-handed. Warner Bros. has officially released the second full-length trailer for Justice League online, moments after it debuted for those lucky people in Hall H at SDCC 2017. OMG and how good is it! Whereas previous trailers introduced us to the Justice League, this new trailer does a great job of showing us what the film will be – while also teasing just that little bit more. Gal Gadot as Wonder Woman is very much at or near the front of the trailer, right alongside Ben Affleck’s BATMAN. However, the trailer also introduces Steppenwolf (Ciaran Hinds). He is shown arriving in Themyscira and stealing the Amazon’s Mother Box, in addition to being glimpsed in a number of fight scenes. He is also the one narrating portions of the trailer, teasing DC fans with “the lack of Lanterns” that Earth has. Different to the FUN feel of the previous trailer, yet still having plenty of action and stand out scenes for all the members of the Justice League. The trailer also manages to make reference to Superman (and his death in Batman v Superman) regularly, but the ending of the footage could be a tease of his return. As you can just about make out a ‘BLUR’ of red in the foreground which could be Superman’s cape! I’m kind’a not convinced as personally I think there is a bit more to it than that …. it can’t be that simple… or can it? I say it every time, but… I can’t wait! Just to see Ben back on the big screen again as The BATMAN is enough excitement for me, but to have Wonder Woman and Aquaman with him as well, is just unthinkable!